COMEBACK pacer Love Ina Chevy had a highly-successfully weekend, with victories both sides of the equator. Successful at Tabcorp Park Melton on Friday night, the Lance Justice-trained gelding was also among the award winners in Canada! Love Ina Chevy’s story relating to his battle for survival from a snake bite was judged Best News Article by the World Trotting Council yesterday. Thrilled with the five-year-old’s double dose of success, Justice was quick to share the glory. “As has been well-documented, a lot of work from a lot people went into helping him survive the ordeal,” Justice said. “Each of them is part of his story. 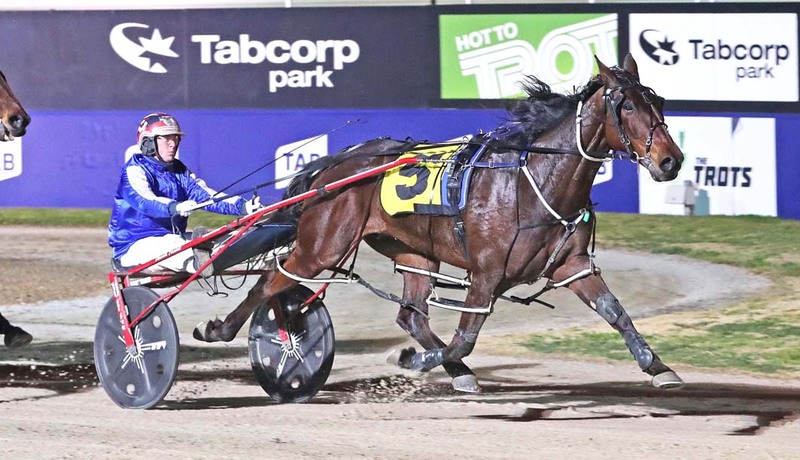 “To have an article written about the effort from everyone to help him survive and now thrive is fantastic and something which really shows the passion people in harness racing have for their horses. After leading with the son of Jeremes Jet, Jack made the winning move when elected to take a trail behind Gotta Go Henry. Finishing stoutly along the sprint lane, Love Ina Chevy accounted for Bad Billy and Gotta Go Henry by rating 1:56.3 over 2240 metres. “That’s his third win in the past two months and he’s going along pretty well at the moment,” Justice said. “The ordeal, although a while ago now, has taken its toll on him, but he’s still pretty close to being where he was before it.